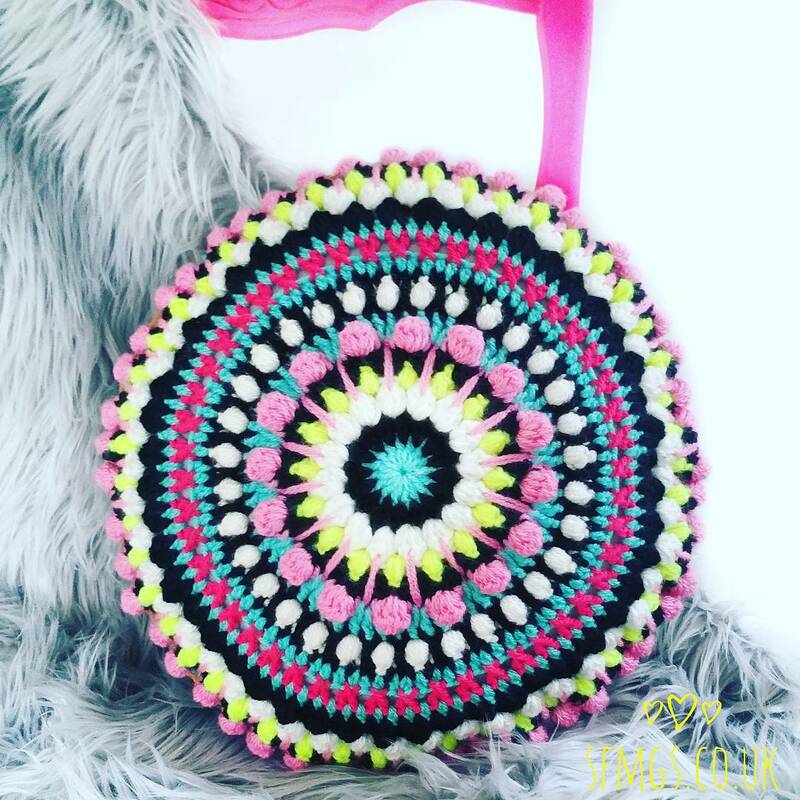 Crochet this bright Boho 'Colour Clash' mandala cushion using puff, bobble and spike crochet stitches in issue 74 of Mollie Makes magazine out now! 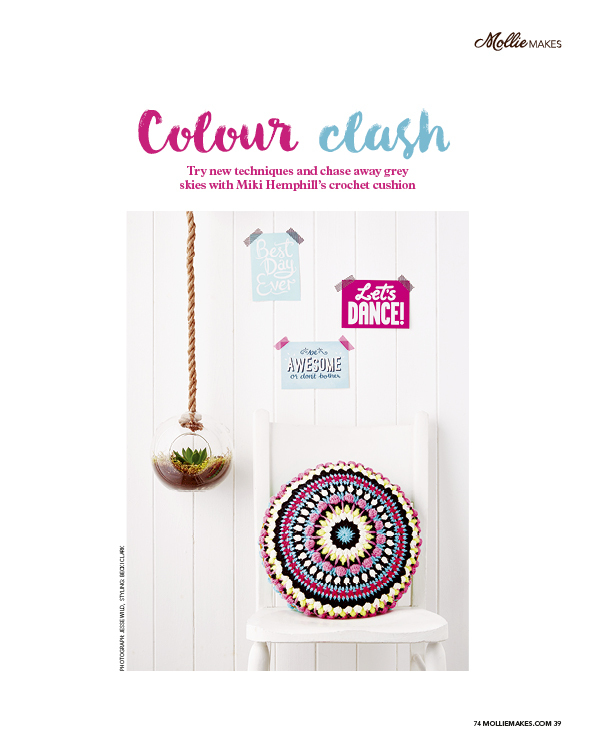 Make my Colour Clash crochet mandala cushion in Issue 74 of Mollie Makes, out now! So I am totally honoured and completely mind-blown to have been given the amazing opportunity to design for them. This project was just so much fun to work on and creates textures you didn't think possible with crochet. 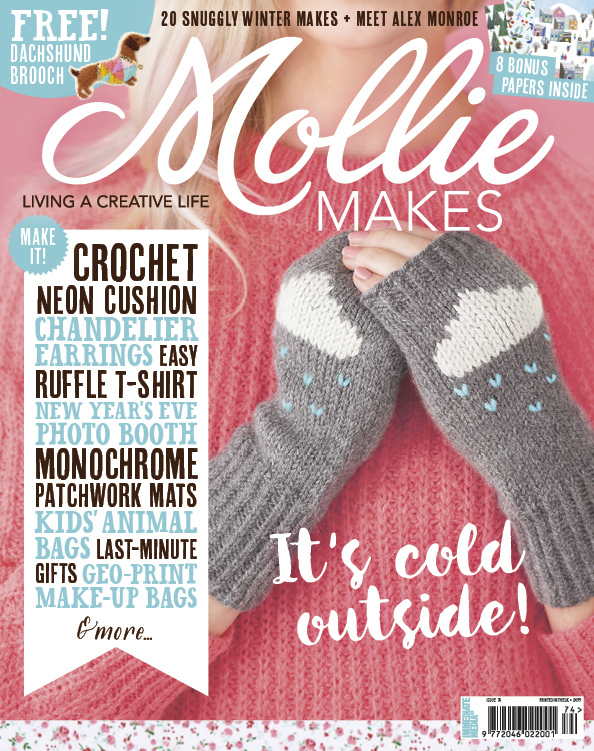 If you haven't heard of Mollie Makes, I already know you will love the magazine. It's a beautifully put together publication full of amazing tutorials, inspo, and the latest crafting trends. And what I love the most, just like me, Mollie Makes actively encourages you to put your own spin onto each project and make the piece your own. Issue 74 is out now - for stockists click here or for the digital editions, click here for Ipad and here for Android. The pattern is reversible so you can ring the changes, and you can get all the supplies you need from Wool Warehouse by clicking on those cute little sheep at the side there. 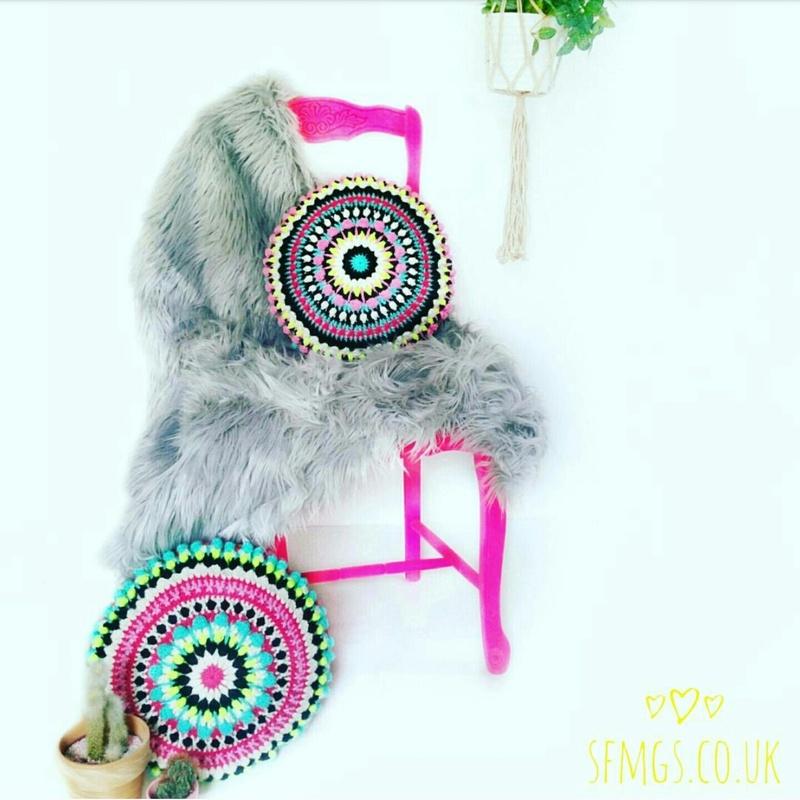 If you make the Colour Clash mandala cushion please show me your version on Instagram by tagging me @setfreemygypsys0ul or using the hashtags #SFMGS or #molliemakers. Much excitement at the #knitcraftsocial on first look at Issue 74!